Although there are several circumstances when paternity is presumed under ARS §25-814, there are many times when parental rights are not so clear-cut in the state of Arizona. For unwed mothers and fathers, in particular, establishing paternity is important to preserve their rights and ensure the best possible upbringing for their child. 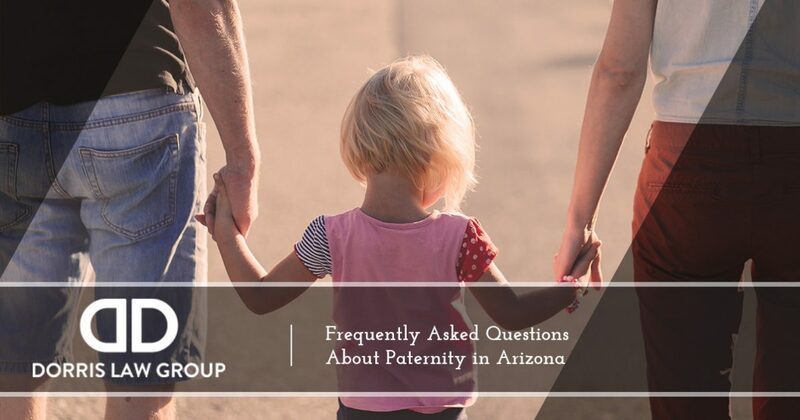 Parents often have many questions about this process, and in today’s post, our Tucson family law team will answer some of the most frequently asked questions about Arizona paternity laws. The Dorris Law Group is here to help you with all of your paternity needs. Call 520-622-4866 to speak with a member of our team, or request your free consultation online now. Who Can File a Motion for Paternity in Arizona? The paternity case can be initiated in the court system, or it can be started out of court by a government agency. In either case, blood testing and genetic testing may be required. These tests must indicate that a man is at least 95 percent likely to be the biological father to be considered valid. There are a few different ways that you can go about establishing paternity in Arizona. Parents may complete a Voluntary Acknowledgement of Paternity form and file it with the Division of Child Support Services (DCSS) if there is no question of paternity. If there is a question with regard to who the child’s father is and all parties are cooperative, you can make a request for genetic testing through your local DCSS office. If one party is uncooperative, a case can be opened with DCSS to work in cooperation with the Assistant Attorney General’s office for a paternity and child custody order. Unwed parents may also choose to go through the Arizona court system to establish paternity and to obtain a related child support order. If you choose to do so, working with an experienced family law attorney may prove beneficial to your case. Parents who wish to establish paternity can do so at any time prior to the child’s 18th birthday. Adults who want to identify their biological father can only do so after their 18th birthday. Depending on your situation, there may be other benefits to establishing paternity. There are also many reasons you may not wish to establish paternity, and a skilled family law attorney can help you with this decision. Do you have questions about Arizona paternity laws that were not mentioned in today’s post? Please contact our office to speak with a family law attorney in Tucson. We would love to speak with you about your unique situation to devise a legal plan that is designed to protect your parental rights and the rights of your child.